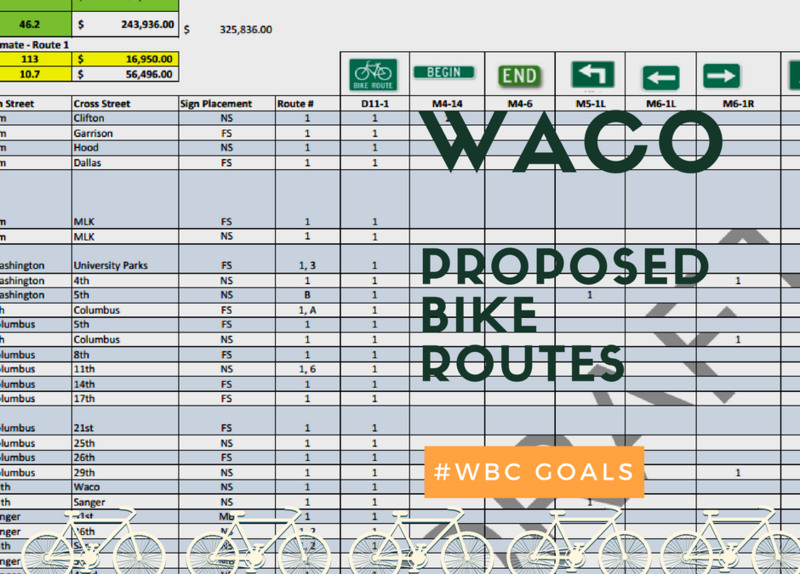 Here is a list of about 22 miles of proposed bike routes in Waco. City staff has asked cyclists to ride the routes and provide critique. Any changes or suggestions can be emailed to wacobicycleclub@gmail.com and we will combine into one document and give to staff.